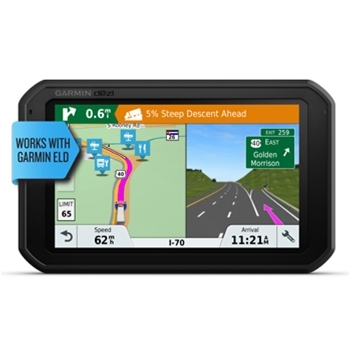 The Garmin Dezl 780 LMT-S is a great addition to the cab of your truck. Built with a bright, 7” touchscreen display, you will have detailed navigation mapping and all the tools needed to make your traveling a breeze. Pre-loaded North American mapping will route you efficiently to your destination and will provide you with detailed points of interest along the way. These detailed maps can easily be updated via Wi-Fi connectivity so when a computer isn’t available to perform updates, simply obtain access to Wi-Fi at your hotel, restaurant, or gas station and you’re on your way to being up to date. Updates include new roads, points of interest, and the newest version of software available for your Dezl device. Garmin designed the Dezl 780 to provide each user with truck specific routing along with warnings for upcoming bridge heights, weight limits, sharp curves, and more. Staying alert with what’s ahead is a key factor for truck drivers with bigger rigs. Knowing where hazards are is crucial so the 780 LMT-S Dezl takes this into consideration through every step of your trip. Simply input your trucks specifications such as length, height, load type, whether you are carrying hazardous material, etc. and you’re on your way to a safe route. Filter your search options to specifically filter truck stops such as “showers” or “Flying J” so these will be listed first in your searches! 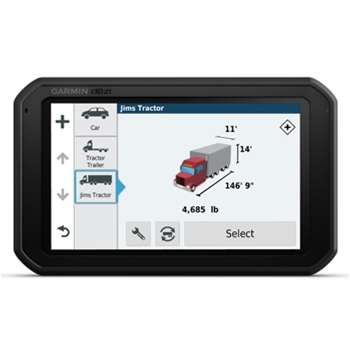 A useful tool that almost every trucker is using now is the Garmin ELog device. Your LMT-S Dezl unit will wirelessly pair with this optional compliant ELD without the need for a tablet or smartphone to work together. When paired, your Dezl 780 will automatically view and record hours of service and share this information with your ELD. The Dispatch and Track feature allows dispatchers to reach their drivers via text messages to provide them with addresses they need to travel to, as well as have the ability to track each driver’s routes from beginning to end. Free live services will alert you to 18 wheeler parking at truck stops, live traffic, and live weather updates so you can prepare accordingly. Life on the road is tough. Garmin makes it easier by suggesting upcoming truck stops for food or rest if it senses you have been driving for long periods of time with no breaks in between. The Up-Ahead feature will display suggestions for places to stop for coffee, food, rest areas and more. Bluetooth enabled wireless technology along with the Voice Command functionality will allow you to wirelessly answer and make phone calls directly through the 780 Dezl as well as “command” your Dezl as to what you want it to do. Adjust volume, screen brightness, find a point of interest, or find an address all with your voice, allowing you to stay focused on your route. 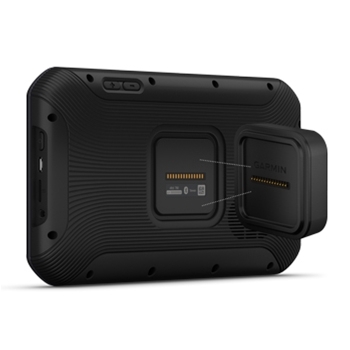 For a flawless device to keep you connected for the long haul, the Garmin Dezl 780 is a premium choice for your navigational needs.